Recently, OSHA recently cited and levied heavy penalties against an Ohio plumbing company after the death of a 33-year-old construction worker was crushed to death while digging out a 12-foot trench. 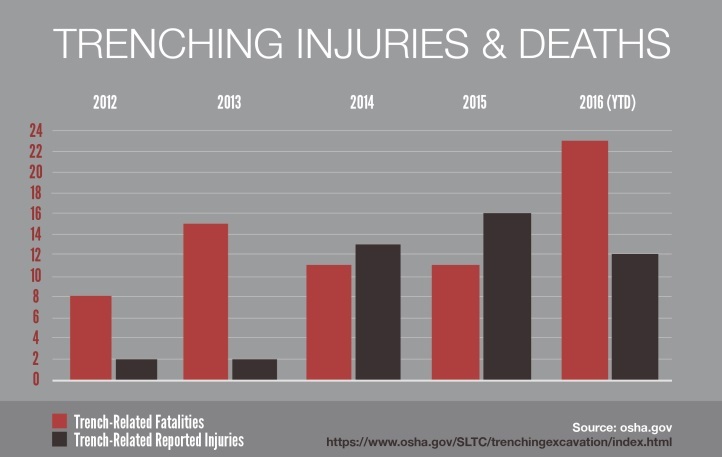 The death of the 33-year-old highlights a disturbing trend in 2016 – trench collapse fatalities have more than doubled according to the latest OSHA statistics. The employer did not provide trench cave-in protection. They failed to train workers in recognizing trench hazards. In all, OSHA proposed a total of $274,359 in penalties against the Ohio plumbing company; OSHA’s response to the alarming statistic is clearly noted – they will aggressively pursue companies that they find willfully negligent. In the New York City-metro area we’re seeing more of the same kind of aggressive enforcement of workplace safety standards. According to a report in the New York Post, a Manhattan judge sentenced a construction foreman to 1 to 3 years jail time for the criminally negligent death of 22-year-old Carlos Moncayo in a trench collapse in the Meatpacking District in the summer of 2015. The judge’s sentence is a clear message to workers and companies alike – there will be no leniency for failing to provide a safe workplace. 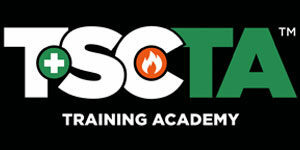 The key takeaway in both these high profile cases is that proper training and adherence to both local and federal safety standards saves lives. In each case, both agencies found that a failure to recognize and react to a hazardous condition ended in the death of two men. In both cases fault was found in the employers when the persons charged with complying with safety standards acted in a way outside of these standards and as a result two men never made it home after their shift. Let’s strive to reverse the trend in 2017.